Once again, fans, Paul Williams has proven himself to be the most clueless police chief anywhere. He has foolishly closed the investigation into the murder of Constance Bingham and won't allow son Dylan to pursue the matter any further. Fortunately, however, Dylan is sharper than his father, although that's not saying much. Is it any wonder why the citizens of Genoa City have such little faith in their police? Clueless & Son are nowhere as sharp as Adam. Adam was able to put the pieces together and figure out that Chloe is the one who helped Victor frame him for murder. He was also too smart to fall for Chloe's little act when when visited him in prison. He didn't buy into her false declarations of forgiveness. I was surprised that Chelsea bought into it, though. She and her mother, Anita, are former con artists. Isn't she too street-wise to be fooled by Chloe's lies and deception? Chloe has also managed to deceive Kevin Fisher. Kevin is satisfied that she has reformed and wants to get back together with her. He is really eager to be a father to Chloe's little daughter, Bella. Actually, I think Kevin is more in love the the idea of being a father than he is in love with Chloe. I find it difficult to believe that Kevin wouldn't be more suspicious of his former wife. Why is he so easily convinced that she has changed? Why is he pressuring Mariah to help him get back with Chloe? Also, why isn't Mariah more skeptical about Chloe's supposed change of heart? Mariah is usually much more cynical. I wouldn't think she'd be so easily deceived. By the way, I think she's much more suited to Kevin than Natalie or Chloe. Kevin has learned that he isn't Bella's biological father, unless someone has tampered with the DNA test (I hope not because we've down that road too many times before). Billy Abbott, it seems, is Bella's father. If so, it's going to cause more huge complications in Billy's muddled life, especially if he reconciles with Victoria. So, Summer, our little Snowflake, is not going to hear the pitter-patter of little feet anytime soon. I'm glad about that because I don't want Nick and Phyllis to be grandparents yet. However, they may end up being the parents of a bride - if Summer's marriage to Luca Santori ever takes place. The wedding will never happen if Nick, Phyllis and Victor have their way. That trio will provide some formidable opposition for the newly engaged couple to overcome. Victor's resistance will be particularly fierce. Did you notice that he added Luca to his list of "punks?" The list includes Billy Boy Abbott and Ryan McNeil (longtime viewers will remember Ryan's romance with Victoria years ago). Victor Newman may be out of prison, but he's very busy dealing with the two major thorns in his side: Luca and Chloe. 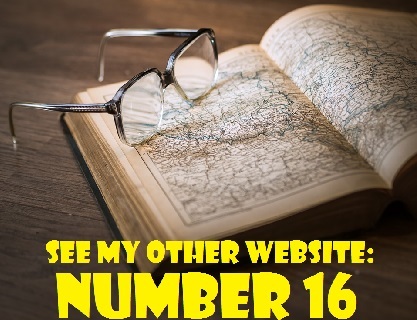 Anyone who stands in the way of what Victor wants becomes Victor's mortal enemy. I guess he didn't expect Chloe to go rogue. It's always great to see someone defy Victor and stand up to him. I just wish that Chloe wasn't the one doing it. Anyway, Chloe's in a no-win situation because, as we've seen time and again, "The Moustache " never loses. I'm still puzzled by Luca. I find it hard to fathom that he would put all his ambitions aside for the sake of Summer. His character changed awfully fast. Do the writers expect us to believe that he has been transformed into a good guy so quickly? According to Internet spoilers, Phyllis will form an alliance with Victor in order to bring down Santori. The two archenemies are so determined to get Luca out of Summer's life, they are willing to to put aside their mutual feelings of animosity. The farewell scene between Ashley Abbott and Dr. Simon Neville was touching and bittersweet. It reminded viewers of what could have been if Michael E. Knight (Neville) had remained on the show. Ashley and Neville's relationship had a great deal of potential. What a shame that it was allowed to slip away. I must say, I really enjoyed watching Dylan's camping trip with Sharon, Mariah and Faith. 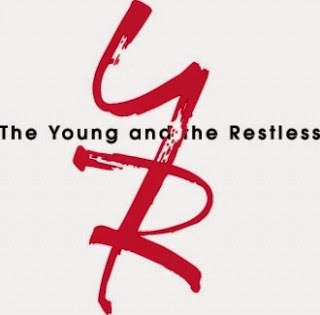 It's summertime and Y&R badly needed some lighter fare, some comic relief. It was hilarious to see Sharon try to rough it. Justin Hartley is engaged to longtime girlfriend Chrishell Stause (Bethany on The Young and Restless). Hartley announced the betrothal on Instagram by posting a photo of Stause lying in the sun and wearing her engagement ring. The caption read: "You guys think I need sunscreen?" In a chat with the press during the recent Television Critics Association (TCA) Summer Press Tour, Hartley said that a wedding date has not been set. With regard to his status on Y&R now that NBC has picked up his prime time pilot, This Is Us, he admitted that he isn't sure whether he can do both shows. 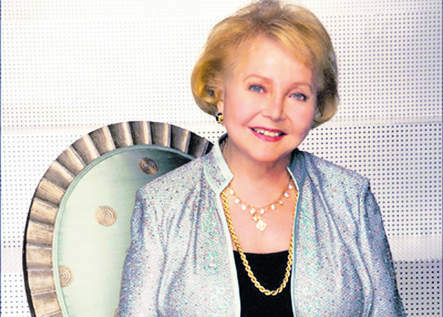 TV Insider reports that Lee Phillip Bell, co-creator of The Young and the Restless with her late husband, Bill Bell, will appear on the shows 11,000th episode on September 1st (CBS) and August 31st on Global TV in Canada. Lee Phillip Bell is the real-life mother of Lauralee Bell, who plays Christne (aka Cricket) on the show. She will appear in a scene at the Genoa City Athletic Club with Lauralee and her television husband Doug Davidson (Paul Williams). "Billy Boy Abbott couldn't run a lemonade stand." I am pleased that Jill (Jess Walton) is back in the swing of things in Genoa City. However, I wonder if you readers think she is meddling too much in Billy's life. Do you think Jill is meddling too much in son Billy's life? Yes, she should mind her own business. He's an adult. She should let him run his own life. No. She's just setting things right. If she didn't step in, Billy's life would be in even more of a mess. Perhaps Billy needs a nudge in the right direction, but Jill has gone too far. That's all for now. The next edition of Y&R Report will appear in this space on Saturday, August 20, 2016.